Selenium is very important for antioxidant defence, immunity, thyroid hormone metabolism, and it prevents damage to cells and tissues. 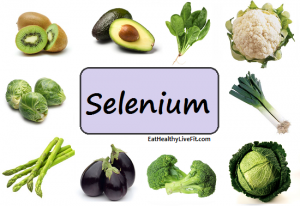 Where can we get Selenium from? Brazil nuts, sunflower seeds, lentils, whole grains, pasta, bread and white rice. The amount of selenium that men aged between 19-64 years need, is 0.075mg. Women in the same age range need 0.06mg per day. What happens if we have too much Selenium? Too much selenium causes selenosis, which in its mildest form, can result in loss of hair, skin and nails. What does the Department of Health have to say about Selenium? How many vegan options do you think Gourmet Burger Kitchen has?